KABUL, Apr. 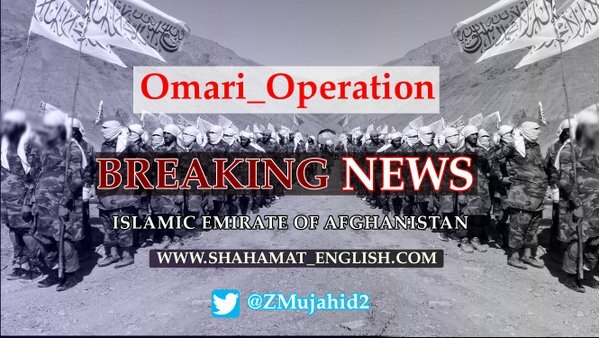 19 – Amid the ongoing ‘Omari’ annual campaign at around 09:00 am local time this morning, a martyrdom seeking unit of Islamic Emirate launched a heavy attack on 10th directorate intelligence building located in PD1 of Kabul city. The operation began when a martyrdom seeker detonated his explosives laden vehicle at the gate of the building, removing all barriers and killing the guards followed by a number of other martyrdom seekers rushing inside and engaging the remaining enemy targets. According to initial reports nearly the entire NDS building has collapsed due to the blast and most of the savage intelligence agency workers killed and wounded. Heavy clashes are still reportedly taking place against the enemy troops, more details about which will be updated later.